Stoltmann Law Offices is investigating Adam Lopez, of Springfield, Illinois, who the State of Illinois has alleged swindled clients out of at least $403,000. According to a Temporary Order Of Suspension and Prohibition filed by the Illinois Securities Department, # 1800493, Lopez advised clients, including family members, to transfer funds out of their Country Capital controlled accounts and in order to participate in better investments, needed to then write checks to Lopez. This fraudulent conversion of his clients’ money also resulted in tax consequences for some of these clients because the money withdrawn was from tax-deferred IRAs. On September 5, 2018, Country Capital discharged Lopez for cause, apparently related to this conversion scheme. Country Capital’s public disclosure found on FINRA BrokerCheck states that Lopez was “terminated due to termination by affiliated insurance companies for alleged violation of provisions in his insurance agent contract relating to obligations of honesty. Not securities related.” This self-serving public disclosure by Country Capital does not appear to be forthright. According to the allegations made by the State of Illinois, the recommendations by Lopez to sell certain investments and withdraw IRA funds clearly involve securities and goes well beyond mere dishonesty. Country Capital makes generic disclosures like this in order to deflect responsibility for supervising Lopez, which the complaint by the State of Illinois establishes, the company failed to do in any reasonable manner. If you or someone you know lost money as a result of misconduct engaged in by former Country Capital financial advisor Adam Lopez, please contact our securities investor-protection law firm in Chicago for a free no obligation consultation with an attorney. We are a contingency fee firm meaning unless we recover money for you we do not get paid. Were you a client of Creative Planning and TD Ameritrade? Did you have unauthorized trades placed in your account in oil and gas related echange traded notes or funds? 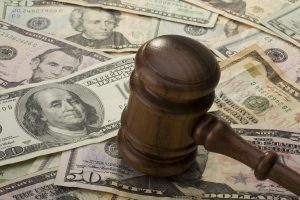 If so the FINRA arbitration claims process can be used to recover those losses. Please contact our law firm in Chicago for a no cost review by an attorney as to how Creative Planning and TD Ameritrade can be sued in the FIRNA arbitration forum. Andrew Elsoffer Oil and Gas Recommendations While With Stifel Nicolaus? 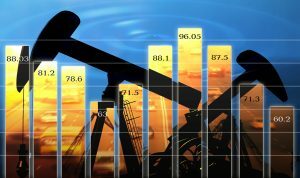 Were you recommended oil and gas investments by Stifel Nicolaus financial advisor Andrew Elsoffer (30100 Chagrin, Suite 101, Pepper Pike, OH, 44124)? If so, those losses are potentially recoverable in the FINRA arbitration forum. Brokers are obligated to make investment recommendations that are suitable and consistent with their clients objectives, net worth, age and other holdings. Recommendations in Lynn Energy and other oil and gas concentrated investments may have been unsuitable and therefore entitle the investor to damages. 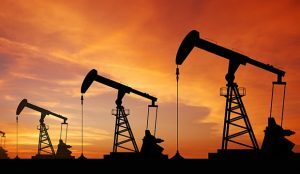 If you were recommended oil and gas related investments by Andrew Elsoffer, please contact our law firm for a free review by a lawyer. Former Ameritas Investment Corporation broker Daniel Kittner, out of Mesa, Arizona, recently resigned from his firm. He was “permitted to resign” from his position at Ameritas “during the firm’s investigation into a customer’s verbal complaint.” In December 2016, a customer alleged that Kittner, while employed at Edward Jones, did not properly advise him with respect to unsuitable investments in mutual funds, stocks, certificates of deposit and variable annuity products. This is against securities laws, and internal firm rules. Ameritas can be held liable for investment losses on a contingency fee basis in the Financial Industry Regulatory Authority (FINRA) arbitration forum because the firm did not reasonably supervise Mr. Kittner while he was employed there. According to FINRA records, Mr. Kittner was previously registered with Edward Jones in Prescott Valley, Arizona from May 2001 until March 2006, Wells Fargo in Mesa, Arizona from March 2006 until December 2011 and Ameritas Investment Corp in Mesa from December 2011 until November 2017. He has one customer dispute against him. He is not currently registered as a broker. According to a recent InvestmentNews article, former broker Bradley Mascho allegedly failed to appear at a hearing with the Financial Industry Regulatory Authority (FINRA). Mr. Mascho was terminated from Western International Securities in December 2017. He and Dawn Bennett, who also worked at Western International, were the subjects of an investigation by the Securities and Exchange Commission (SEC) that involved the sale of more than $20 million in convertible and promissory notes to at least 46 investors from December 2014 until July 2017. In connection with its fraud case against Ms. Bennett, the SEC also charged Mr. Mascho with aiding and abetting an offering fraud by the firm. He was the previous chief financial officer of DJB Holdings, Bennett’s investment firm. According to FINRA’s Letter of Acceptance, Waiver and Consent (AWC) against him, it stated that the regulatory body was investigating him for “potential serious violations, including fraud, undisclosed outside business activities, and private securities transactions.” These are all violations of securities laws and internal firm rules and regulations. Bradley Mascho was previously registered with IDS Life Insurance Company in Minneapolis, Minnesota from March 1997 until July 1999, American Express Financial Advisors in Minneapolis from March 1997 until July 1999, Legg Mason Wood Walker in Baltimore, Maryland from September 1999 until February 2006, Royal Alliance Associates in Washington, D.C. from February 2006 until October 2009 and Western International Securities in Frederick, Maryland from October 2009 until December 2017. He has one customer dispute against him and one criminal pending charge alleging that he conspired to commit securities fraud, aided and abetted and conspired to commit wire fraud. All are felonies. He has one civil pending charge against him and has been permanently barred from the industry. This is according to FINRA records online.